The trial is over and you've won! Your client is elated. You're flush with the thrill of victory (and, if you've taken the case on contingency, glad to know you'll see a return on your hundreds of hours of investment). But a few weeks later you open your mail (or, if you're reading this article in late 2017, you open your e-mail) to find a Notice of Appeal. What now? Should you negotiate a settlement or defend your hard-fought victory in the Court of Appeals? The trial is over and you’ve lost. Your client is dejected. You’re deflated (and, if you’ve taken the case on contingency, you’re sick with the knowledge that you’ve got nothing to show for your hundreds of hours of investment). The clock is ticking on your thirty-day deadline to appeal. What now? Should you file a Notice of Appeal or cut your losses and move on? The trial court has issued a pretrial ruling extremely detrimental to your case, throwing your trial strategy out the window and your chances of success with it. What now? Should you take your chances with what is left of your strategy and case, or should you seek an interlocutory appeal? Your case is in its early stages and you know, win or lose, it will likely end up on appeal. What now? How should you prosecute your case to best position it for the appeal you know will come? Trial lawyers face these “what now” questions regularly. An experienced appellate lawyer can, and I would contend should, help answer them. Some trial lawyers are themselves experienced appellate litigators, so they intuitively ask and answer these questions as they arise. But many trial lawyers do not have extensive appellate experience and a regular appellate practice to keep their appellate knowledge and skills current and fresh – such lawyers could benefit from engaging an experienced appellate attorney to handle their appeals or assist as co-counsel. Trial practice is primarily concerned with convincing one judge, and often a jury of 6 to 12 lay persons, about the facts. Appellate practice is primarily concerned with convincing two out of three judges or three out of five justices (as well as one or more judicial law clerks) about the law. Trial practice is primarily focused on the effective presentation of factual evidence and testimony. Appellate practice is primarily focused on the effective presentation of legal precedent and authority. Trial skills involve, primarily, the art of persuasion through oral advocacy in the physical presence of the person/people the attorney is trying to convince. Appellate skills involve, primarily, the art of persuasion through written advocacy outside of the physical presence of the person/people the attorney is trying to convince. The best trial lawyers know how to craft and convincingly tell laypersons the story of what happened. The best appellate lawyers know how to craft and convincingly discuss and debate the law with fellow lawyers. Different processes for services of the case-initiating pleading. Compare Ind. App. Rs. 24(A) & (B) with Ind. T.R.s 4.1-4.17. Dramatically different motions practice. Compare App. Rs. 34-42 with Ind. R.R.s 6(B), 6(D), 12(F), 53.1, 53.3, 53.4 & 53.5. Different procedures for filing confidential documents. Compare Ind. Ap. R. 23(F) with Ind. T.R. 5(G) & Ind. Admin. R. 9(G)(5). Much more specific and detailed formatting and content requirements for written filings. Compare Ind. App. Rs. 34€-(G), 43, 44, 46, 50, 51, 57 with Ind. T.R. 10. Mandatory e-filing in the Indiana appellate courts, as compared to (at present) paper filing or voluntary e-filing in the large majority of Indiana trial courts. Also, most Indiana trial lawyers spend the majority of their time practicing in a particular county or group of counties in front of the same group of trial court judges. Over time, those attorneys gain valuable insight into the local judges’ predilections and preferences and what is and is not effective in their courts. The same holds true for attorneys who have worked for and/or regularly appear before our appellate courts. Just as most attorneys would not appear in an unfamiliar county without at least speaking to, if not engaging, local counsel (particularly if the lawyer on the other side is from that particular county), so attorneys who do not regularly practice before appellate courts should seek advice and assistance from, if not engage as co-counsel or refer the case to, experienced appellate advocates (particularly if the other side is represented on appeal by an attorney who regularly appears before the appellate courts). Daniel Stockwell, Writing: A Brief for theiPad Judge, Colum. Bus. L. Rev (Jan. 14, 2014, 11:26 a.m.), http://cblr.columbia.edu/archives/12940. Awareness and application of these 21st century drafting principles will further widen the gap between attorneys who regularly practice in appellate courts and those who only occasionally do. Based on these considerations, when the "what now" appellate questions arise for trial lawyers who rarely do appeals, they should consider referring their case to an experienced appellant practitioner or engaging one as co-counselor as a non-appearing advisor. The time and energy you've invested into your case at trial is too valuable not to. Click here to learn more about the our firm and how we can partner with you. 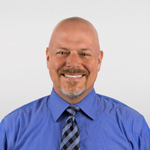 For more information about Kevin and his practice, please visit his profile.